Hundreds of writers have been involved with the Twitter monthly writing challenges since they first began in July 2014 (#JulyWritingChallenge), and many of them either already were, or have gone on to become, published authors. Among those are some of our very own hashtag leaders. Below, find WritingChallenge.org authors along with their published works that were either written or edited during one of the monthly writing challenges. If you haven’t been a hashtag leader yet, but you are a Challenge participant, please post a link to any book you worked on while participating in the challenge in the comments box below. Kristy is the founder of the writing challen ges and was the hashtag leader for the very first #JulyWritingChallenge in 2014. She wrote and edited Consider, her debut YA sci-fi novel, during the July through December challenges. She was offered a two-book publishing deal with Jolly Fish Press for the series after participating in the March 2015 #PitMad. The same manuscript won the 2015 PEN New England Susan P. Bloom Children’s Book Discovery Award. The second and final installment of the Holo Series, Contribute, is due out in March 2017. Samantha was the hashtag leader for #SeptWritingChallenge in 2014. Already a published author with a few other novels under her belt, Sam worked on this title during the July, August, and September writing challenges and released the book October 1, 2014. Sara was the hashtag leader for #AugWritingChallenge in 2014 and #AprWritingChallenge in 2015, and is also the creator and webmaster for this website. She worked on writing The Smuggler’s Gambit, her first novel, during the July through October challenges. She worked on the second book in her Adam Fletcher Series, Captured in the Caribbean, during #JuneWritingChallenge and #JulyWritingChallenge of 2015. Christine Platt Patrick is the hashtag leader for #JulyWritingChallenge in 2015. She worked on The Truth About Awiti, her first novel, during the writing challenges of October and November 2014, and has been a longtime cheerleader for participating writers—known especially for her Happy Dance emoji. She is currently working on her second novel, Rheinland. Sydney was leader for #JuneWritingChallenge in 2015. She has been an active member of the Writing Challenge since its inception. Sydney is a prolific writer, and while she has more titles in her catalog, she has published three of them while participating in the Challenges. Sydney took things up a notch during her tenure as hashtag leader by creating comic-strip style graphics cheering on the challenge participants each day. Stephanie A. Cain is the hashtag leader for #SeptWritingChallenge in 2015. 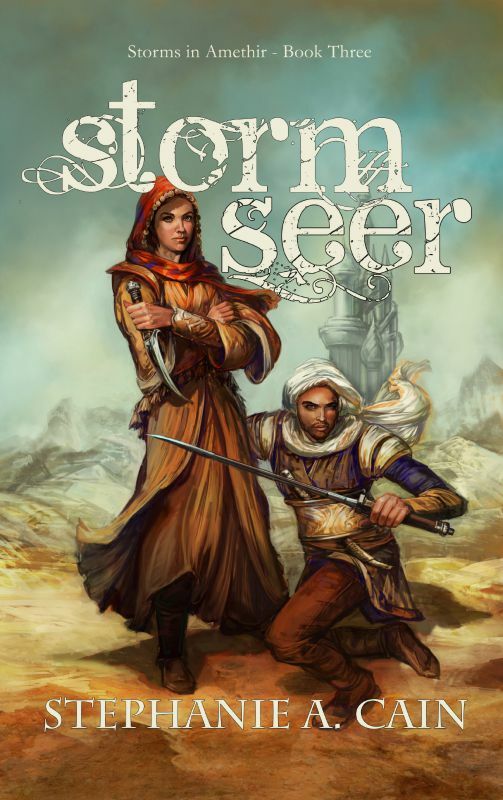 She worked on Stormseer, Book 3 of the Storms in Amethir series, during the writing challenges of April and May 2015. Beverley Lee was the hashtag leader for #AprWritingChallenge in 2016. She is a freelance writer currently residing in the south east of England. In thrall to the written word from an early age, especially the darker side of fiction, she believes that the very best story is the one you have to tell. Supporting fellow authors is also her passion and she is actively involved in social media writers’ groups. The Making of Gabriel Davenport, her debut novel, will be released in April 2016. Harmony Williams (also known as A.K. Lindsay) was the hashtag leader for #FebWritingChallenge in 2015. During that hectic month of leading, she also wrote the first draft of How to Play the Game of Love. She spent the next few writing challenge months editing it, and it is now available from Entangled Publishing! Harmony is a history nut, a tea drinker, a dog lover, and an avid bookworm. She lives in rural Ontario, Canada, where her dog Edgar has plenty of space to run and she has plenty of quiet to write. As Harmony Williams, she writes funny, flirty historical romance set in Regency England. She loves connecting with fellow writers!